From The Earth has officially moved our production and showroom into our new, colorful office. We are thankful to all of our employees and friends who came and worked hard to make the office look so nice. Our new office is located neat the fire station in Bayader Wadi Al Seer. Below is a nifty map that shows how easy it is to find us. Although we plan on having a big grand opening in December with our annual Christmas party sales event, we are open now and would love for you to visit us. Let's take a look at the process..
At From The Earth, we like to take every opportunity to give thanks. Today is Canada's Thanksgiving, so we thought we would take the time to give thanks for some very special Canadians. 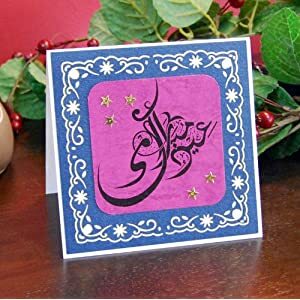 First, we would like to give thanks for one of our wholesale customers Middle Eastern & Canadian Gifts. 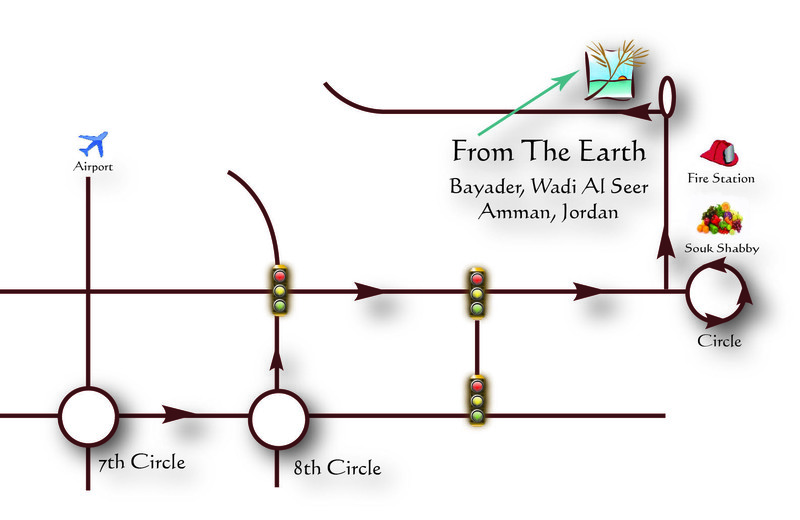 They bring our handmade, Jordanian products from the Middle East to Canada. Second, we are thankful for our Canadian born Sales Director, Scott. He has brought our products into many stores in Amman. As he expands our business it allows us to hire additional women here in Bayader Wadi Seer. Thank you Scott! Third, we are thankful for our Canadian born Accountant, Grace. She does more than accounting here at From The Earth. She tracks Amazon inventory and even packages our Hand-carved Olive Wood Chopsticks. Thank you for your skills and flexibility Grace! Canada has done a lot for From The Earth, so we say,"Thank you Canada." Take some time today to be thankful for the Canadians in your life and wish them a Happy Thanksgiving. If you want to be in the know about this holiday, take a look at this site that shows why it is that Canadians celebrate this day. AMMAN – October 1, 2012 -- For the first time, a company in Jordan has received certification from the World Fair Trade Organization (WFTO), an entity that monitors and recognizes businesses that create opportunities for disadvantaged people. 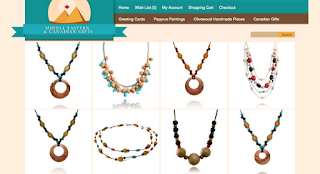 From The Earth, founded and operating in Amman since 2008, produces handmade crafts sold in Jordan, Europe, Canada and the USA. 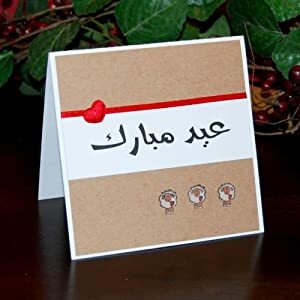 All items are produced by local artisans and sold through 50 Amman retailers and on Amazon.com. “We are grateful to be recognized for our efforts to alleviate poverty in this region by paying fair wages, treating each person with the utmost respect, and helping our employees and suppliers improve their quality of life,“ said Jonathan Hankin, From The Earth’s founder and general manager. 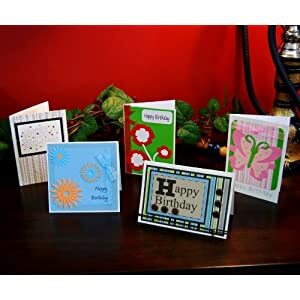 From The Earth started as a producer of handmade greeting cards, but today has 15 Jordanian employees and a product line of 400 items. Specialties are handmade olive wood products, such as jewelry, kitchen products, chopsticks, cheeseboards, figurines and other items. 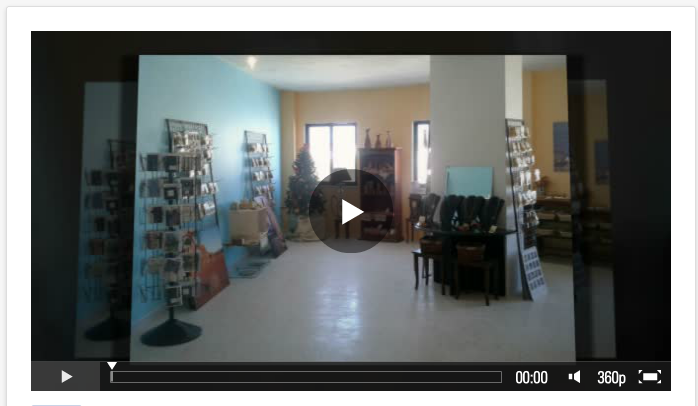 Products also are sold at the firm’s showroom in Bayader Wadi El Seer in Amman. For more information, visit www.ftehome.com. To view our latest products, visit our YouTube page!